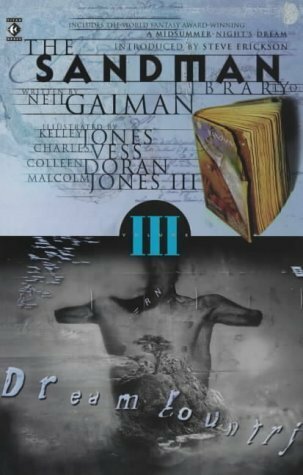 The third book of the Sandman collection is a series of four short comicbook stories. In each of these otherwise unrelated stories, Morpheus serves only as a minor character. Here we meet the mother of Morpheus's son, find out what cats dream about, and discover the true origin behind Shakespeare's A Midsummer's Night Dream. The latter won a World Fantasy Award for best short story, the first time a comic book was given that honor. As an additional bonus, Dream Country prints Neil Gaiman's original script to "Calliope," annotated by the writer and the artist.